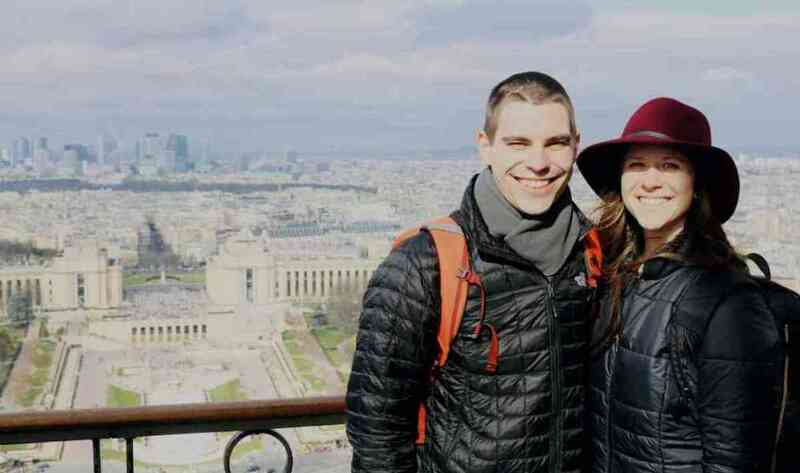 Ashlee Kronforst and Ryan Monk, of Twice the Baggage, look at how to pull off a trip to world's romantic capital. For Twice the Baggage&apos;s first post on BMTN, we thought we&apos;d share our thoughts on arguably the most exciting destination you can fly to direct from MSP Airport: A little known place called Paris. Whether you love history, architecture, fashion, food, or entertainment; Paris has something for you. That being said, there is so much to see and do. It can be overwhelming to know you have a few days in the city, but an ever-growing list of attractions to visit. So here&apos;s what you need to know about getting there, staying there and what to see. We&apos;re going to lay out three options for you, the budget option, a middle option that we call glamorous backpacking (which is how we travel), and a luxury option. (Just a disclaimer here, as with all our travel guides, the price of flights and accommodations will vary depending on when you travel, whether you&apos;re willing to take a connecting flight, and where you decide to stay). Budget option: We traveled in March, when flights to Europe tend to be cheaper. If you go with Icelandair it&apos;ll cost you around $550/person if you fly via Reykjavik and don&apos;t take a checked bag. Glamorous backpacking: Flying direct with Delta to Paris from MSP over a cost us $670/person. Luxury option: Premium flight options start at around $1,300/person if you choose "Saga Premium" through Icelandair, though will be more expensive if you opt for premium or business class options with Delta. Budget option: A stay for one or two guests at Plug-Inn Hostel in Montmartre, one of the top Paris hostels, is around $80/night with WiFi and breakfast. Glamorous backpacking: A stay for two guests with free WiFi and a queen bed at Hotel Monsieur – close to the Arc de Triomphe – cost us around $193/night. Luxury option: Paying for the location (Eiffel Tower) and free breakfast (a rarity). the Pullman Paris Tour Eiffel will cost you $338/night. The view from the Eiffel Tower. Paris is filled with an endless supply of attractions. Some of them, like the Notre Dame on Ile De La Cite and the Sacre Couer in Montmartre, cost you nothing to enter. But others, including the Louvre ($11), Musee D&apos;Orsay ($15) and a trip up the Eiffel Tower, will require payment. Here&apos;s an example of some Eiffel Tower visit options. Budget option: An Eiffel Tower tour with a guide will cost you around $40. It&apos;ll allow you to skip the line but it will only take you to the 2nd floor. If you don&apos;t want a guide, a ticket will cost you about $19 to get to the 2nd floor. 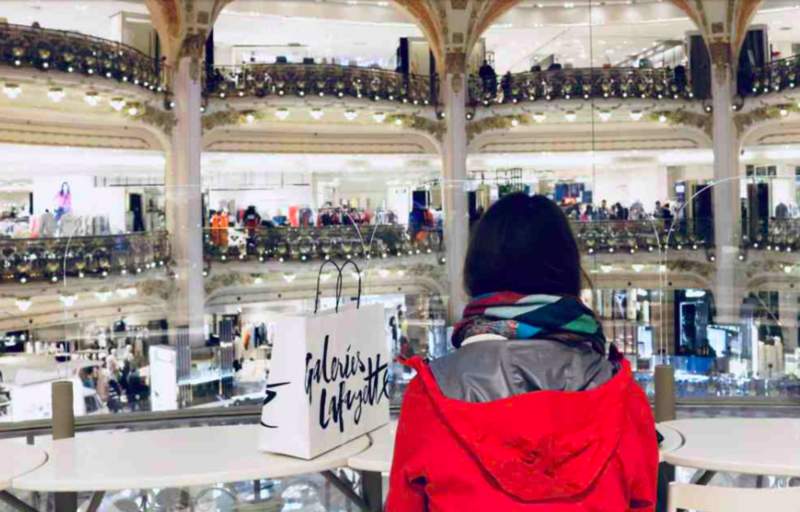 Glamorous backpacking: For a little extra, around $50-$55 in total, you can get a guided tour that takes you to the highest point in Paris. Otherwise, you can take an unguided tour to the tip (via an elevator) for $29, or you can take the stairs for $22. Luxury option: The same as the guided tour in the glamorous backpacking option, but with a night-time boat trip along the River Seine. If you book with Viator, it will set you back $105. Otherwise you can find your own boat journeys costing anywhere from $18 to $200. 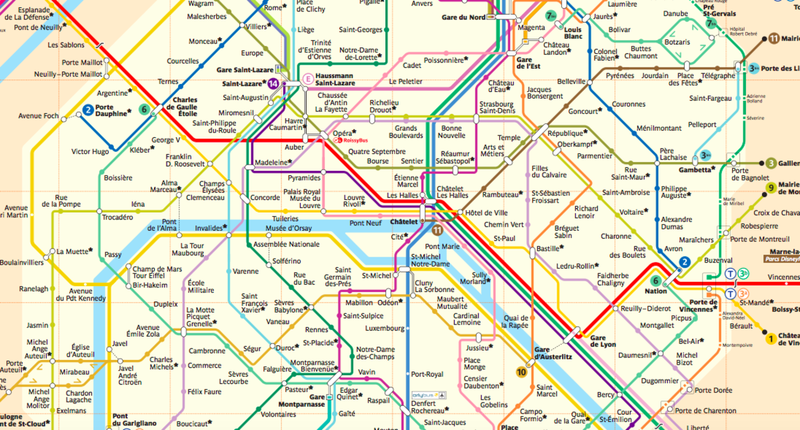 Paris has an extensive metro train system. Paris is a great city to walk in, especially along the Seine (with a baguette, some ham and cheese, and a bottle of wine), but since there&apos;s so much to see you really need to get on the Metro subway system. The majority of attractions are found in the center, so you&apos;ll probably only need to buy a pass for "Zone 1" unless you want to go to other places on the outskirts of the city, such as the Palace of Versailles, in which case it will run you more. Paris Visite Pass: You can buy a pass for one, two, three or five days that range from $13-$45 depending on which zones you want. Mobilis Day Pass: This will give you access to zones 1-2 for a calendar day for $9. Our European adventure began with stopping for a crepe & enjoying it at the Eiffel Tower, luggage in hand, before even finding our hotel. After checking into Hotel Monsieur, we spent the afternoon, via the metro, visiting the Sacre Coeur, wandering the streets of Montmartre, finding “The Wall of Love”, taking pictures in front of beautiful doors and devouring macaroons. A full day of sightseeing in Paris. Started by taking 1,638,739 pictures of the Eiffel Tower, grabbed our first of 4 espressos for the day, and then headed back to conquer all three floors of the Eiffel Tower! Via metro and lots of walking, we headed to Norte-Dame Cathedral, The Louvre (which you really need a full day to see), and finished off by walking the Champs-Elysees where I finally got to shop at Longchamp! Ended our walk at the Arc de Triomphe. Once it was all completed, we&apos;d walked 14.55 miles. Ashlee at the Galeries Lafayette store. A very rainy & cold day in Paris. But we were in Paris, so there really is no reason to complain! We started the day by visiting the Opera, the stunning Galeries Lafayette department store, Les Invalides, and the Pantheon. We headed back to Longchamp to each buy a bag we have wanted then had a quick lunch. Relaxed by the Seine river to reminisce about the magical last 3 days. Ended the day watching the sun go down at the Eiffel Tower and the lights turn on. We brought along a baguette, cheese, wine & beer for a dinner picnic. Overall, there is so much to see in Paris that you could spend an entire week and not take it all in. Just be sure to map out your day to get as much in as possible. Utilize the metro when possible to better optimize your time, and buy your tickets in advance for attractions to skip the lines. We encourage you to visit the sites we noted above, but be sure to explore your own attractions as well. There are many many more attractions that are a must see, but these were our favorites. Who knows, maybe the list will change the next time we get to Paris. You can read more about Twice the Baggage&apos;s vacation adventures and travel tips on their blog here. BMTN's guest travel bloggers, Twice The Baggage, reveal their travel-planning secrets. Ashlee Kronforst and Ryan Monk will provide travel tips, cost-savers and vacation reviews. Twice The Baggage has some alternative destinations in mind for Minnesota travelers.